Dinosaurs hatched from eggs! 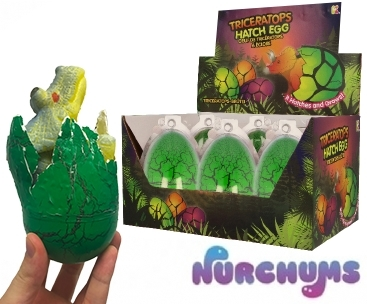 Possess your own Triceratops egg, pop the egg into a bowl of water and watch as the baby dinosaur hatches out of the egg and grows! Buy 144 x Hatching Eggs and receive our NEW display stand FREE OF CHARGE! 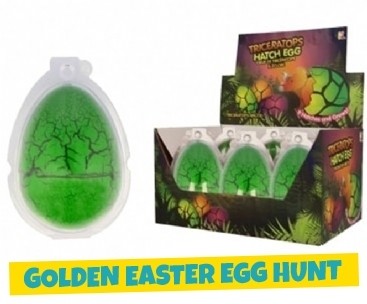 View the new Dino Hatching Egg Display Solution. Included in the offer: NV112, NV273, NV274, NV275.